Is the brides bachelorette party taking place on a beach? Great! 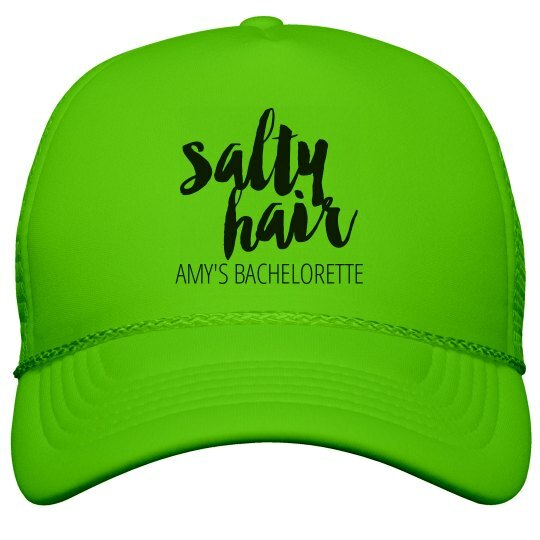 Customize this neon trucker hat and put the brides name on it. Salty hair for the bride and bridesmaids!